Until now, the Xiaomi Redmi Note 5 Pro was undoubtedly the best phone under 20K in India, powered by the powerful Snapdragon 636 and packed with superb specifications. There have been a lot of smartphone launches after Xiaomi launched Note 5 Pro in India, but still, there is no phone that can give a tough competition to it. 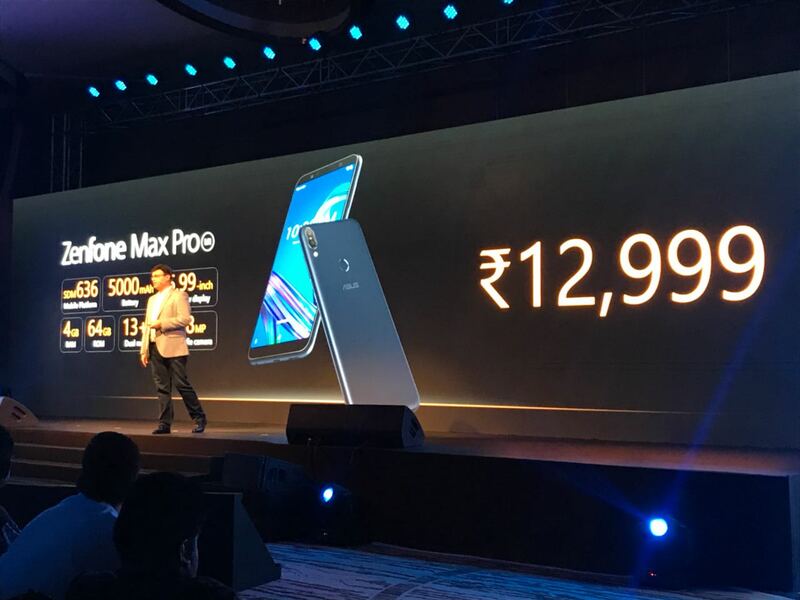 Well, here comes the Asus Zenfone Max Pro M1, the smartphone that challenges the Redmi Note 5 Pro in every aspect. 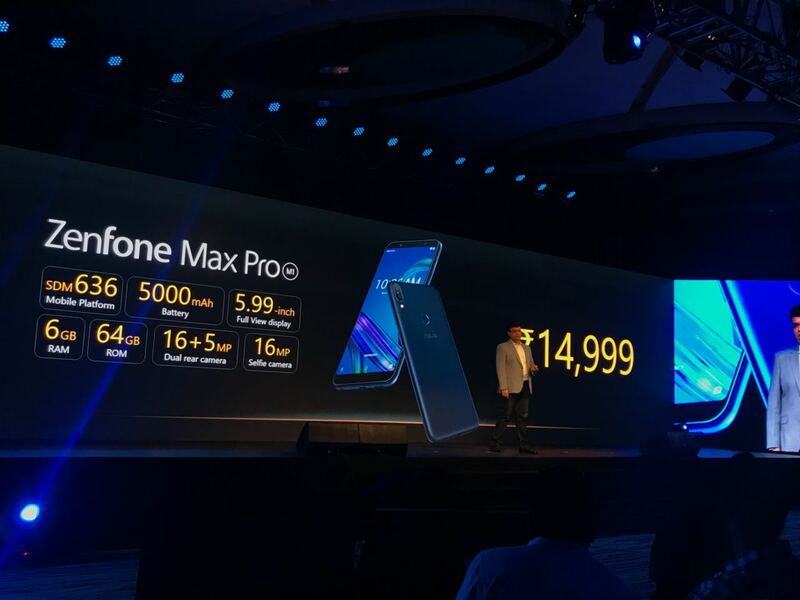 Asus announced its partnership with Flipkart a few days back, and today, the Zenfone Max Pro M1 launched in India, which will be available exclusively via Flipkart. The design of the Zenfone Max Pro M1 is pretty similar to that of the Redmi Note 5 Pro with an 18:9 display on the front, on-screen navigation buttons, rear-facing fingerprint scanner and a vertical dual camera setup on the rear, placed on the top left. The volume rockers and the power button are placed at their normal position i.e., on the right side. Unlike the Redmi Note 5 Pro, the Asus Zenfone Max Pro M1 doesn’t have a major camera bump on the rear, which is a good thing. It is yet to be confirmed if the top and bottom part on the rear has a plastic build like the Note 5 Pro or not. The micro USB port is present on the bottom with the 3.5mm headphone hack and the speaker grill. It is really impressive that the phone is quite slim and light (180g) despite the fact that it houses a huge 5,000mAh battery under the hood. 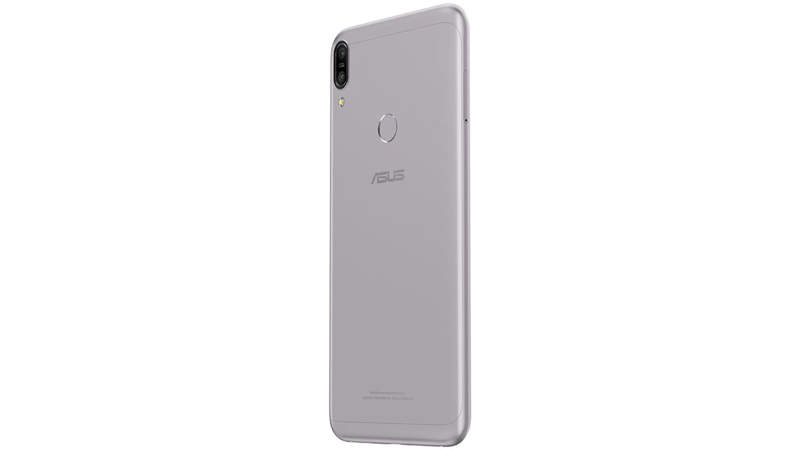 The Asus Zenfone Max Pro M1 features a 5.99-inch IPS Full-HD+ Display with 18:9 aspect ratio,2.5D Curved glass, 85% NTSC gamut, and a maximum brightness of 450 nits. Powered by the octa-core Snapdragon 636 processor, the phone has Adreno 509 GPU, 3/4/6GB RAM, and 32/64GB internal storage. There is a triple Slot tray which means that two SIMs can be inserted along with the microSD card at the same time. The storage is, therefore, expandable up to 2TB. On the rear, there is a dual camera setup that includes a primary 13MP f/2.2 camera and a secondary 5MP camera for getting the depth information. There is an 8MP camera on the front with f/2.0 aperture. It is worth mentioning that the 6GB RAM variant of the phone has a 16MP primary rear camera and 16MP front-facing camera. Yes, there is also the Portrait mode feature, thanks to the dual rear cameras. Coming to one of the main highlights of the device, it packs a huge 5,000mAh battery under the hood that can easily last a full day on heavy usage and more than a day on normal usage. Asus claims that the battery can be fully charged from 0 to 100% in 2hr 42m. Under the hood, Android 8.1.0 Oreo runs out of the box with mostly a stock experience. There is no Android One branding, but this is the very first Asus device to have an almost stock Android experience (Although you will find ‘ZENUI’ mentioned in the Settings). Other features include Bluetooth 5.0, Face Unlock, 3.5mm headphone jack, a 5-magnet speaker with NXP Smart Amplifier, guaranteed Android updates for next two years, etc. Offers worth Rs 3,200 for Vodafone users. Prepaid Vodafone users on Rs 199 Plan or above will get 10GB additional data per month for a year. Postpaid users on RED 399 Plan will get 10GB additional data per month for one year while those on RED 499 plan will get Vodafone’s Device Security Insurance Plan for two years. 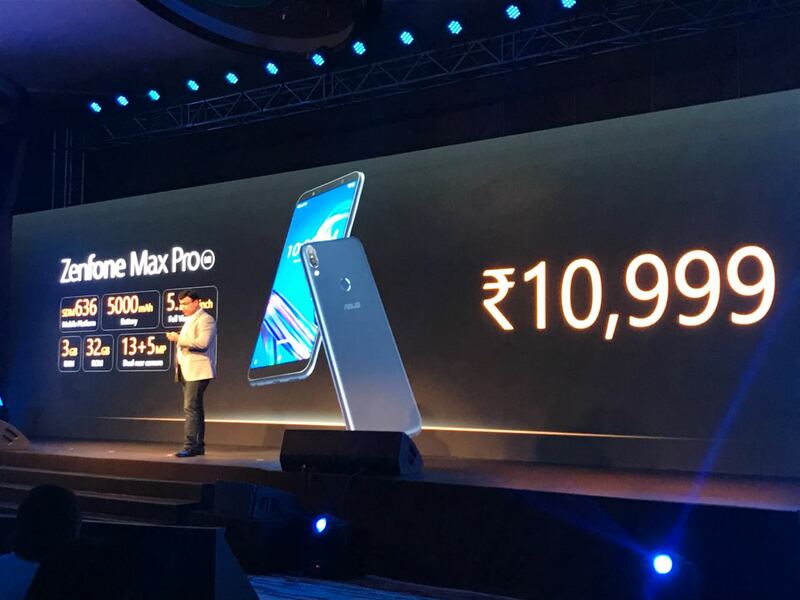 Rs 1000 Extra Discount on exchanging the old phone for the Asus Zenfone Max Pro M1. Complete Mobile Protection for Rs 49 from Flipkart. Color options are Meteor Silver, and Deepsea Black & the first sale is happening on May 3. The phone will be available exclusively via Flipkart in India.